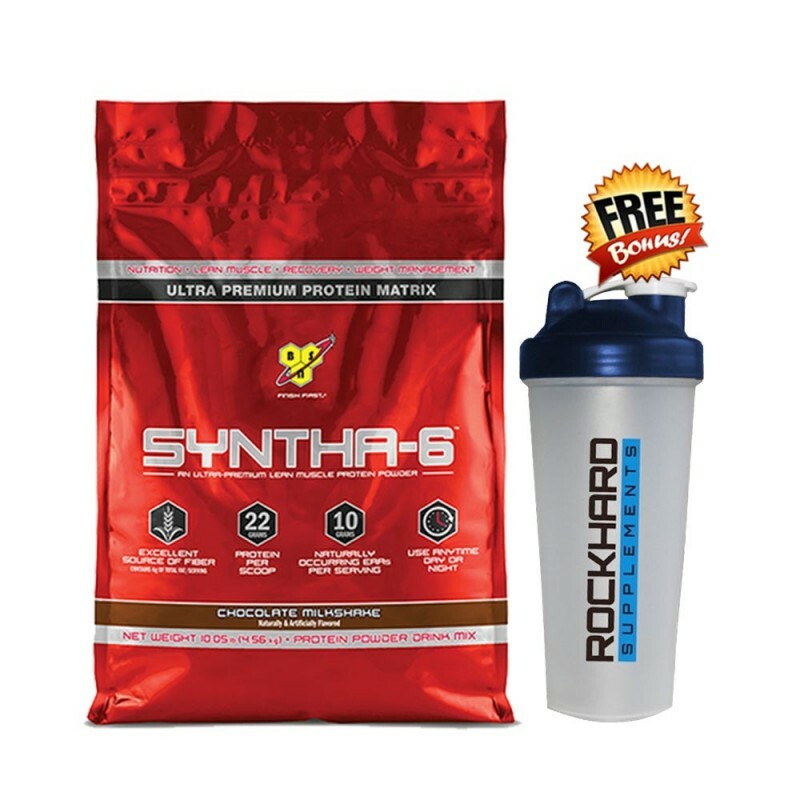 Syntha6 now comes in a 10lbs or 4.55kg bulk Protein bag for super savings for the best-tasting whey protein powder in the world, so if you are looking to save money Bsn Syntha 6 10lbs 4.55kg bulk bag is for you. 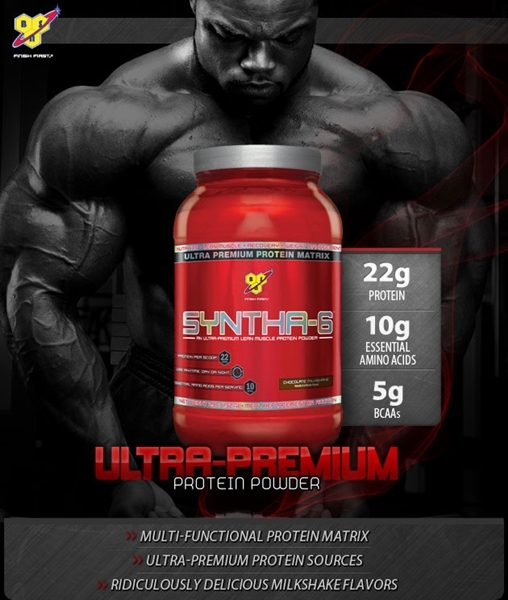 SYNTHA-6™ is an ultra-premium lean muscle protein powder, BSN's best-tasting protein supplement on the market. 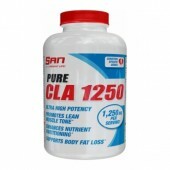 Its formula features multiple quality proteins resulting in a nutritious and multi-functional protein supplement that ensures an athlete's muscles a quality supply of protein building blocks. 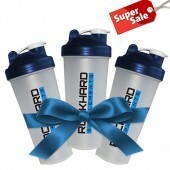 * As any athlete knows, high-quality protein is essential for building and maintaining lean muscle. * SYNTHA-6™ is the ideal solution to any active individual's protein needs, designed to perfectly suit a variety of diets and lifestyles. 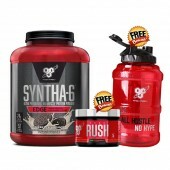 And with SYNTHA-6™, that high standard of quality comes with taste to match, thanks to BSN®'s exclusive flavor technology. 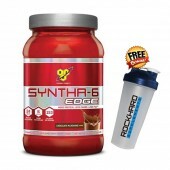 Syntha6 Recommended Use for Males: Take 1-2 scoops (equaling approx. 22-44 grams of protein) with 4-5 oz. to 8-10 oz. of cold water or any beverage of your choice respectively. 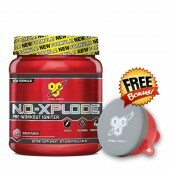 Use approximately 4-5 oz of liquid per 1 scoop of powder. Vary the amount of liquid to achieve your desired flavor and consistency. 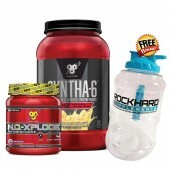 Drink 1-4 servings daily, or as needed to satisfy your protein or muscle enhancing requirements. 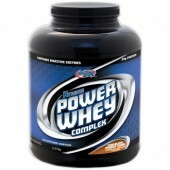 To increase your protein intake per serving and to achieve an amazing milk shake taste, use non-fat or low fat milk. 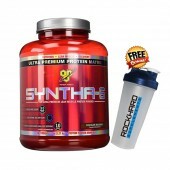 Syntha6 Recommended Use for Females: Take 1 scoop (equaling approx. 22 grams of protein) with 4-5 oz. of cold water or any beverage of your choice. Vary the amount of liquid to achieve your desired flavor and consistency. 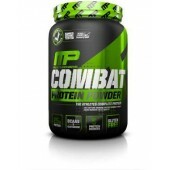 Drink 1-4 servings daily, or as needed to satisfy your protein or body goals requirements. To increase your protein intake per serving and to achieve an amazing milk shake taste, use non-fat or low fat milk or your favorite soy beverage. PLEASE NOTE: PLEASE EMAIL US SINGLET SIZE YOU WISH TO RECEIVE OR RANDOM SIZE WILL BE SENT OUT, THANKS.